Both of these dips, Dried Beef Dip and Spinach Dip are two “classic” dips that might have been around longer that I have been, and that’s a long time;) I can remember and at my age that’s a challenge in its self, when both of these dips could be found at every holiday party. Even my mom Aggie, who wasn’t an exceptionally good cook, could manage to whip both dips up. Both are still favorites and always will be favorites in my house. With electric mixer, combine first 10 ingredients, (11 if using white wine) mix until smooth. Stir in chopped lunch meat. Pour dip into a 1-1/2 quart baking dish. Refrigerate until ready to make. Chill for 2 hours. 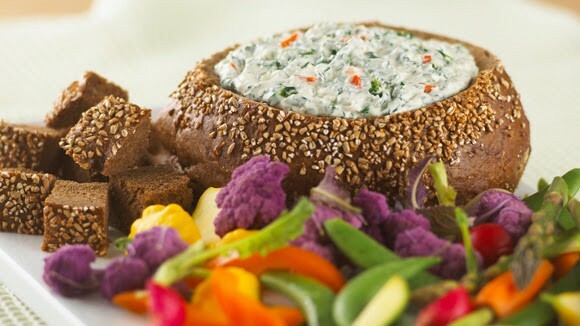 Serve with an assortment of veggies, crackers or dippers of your choice. 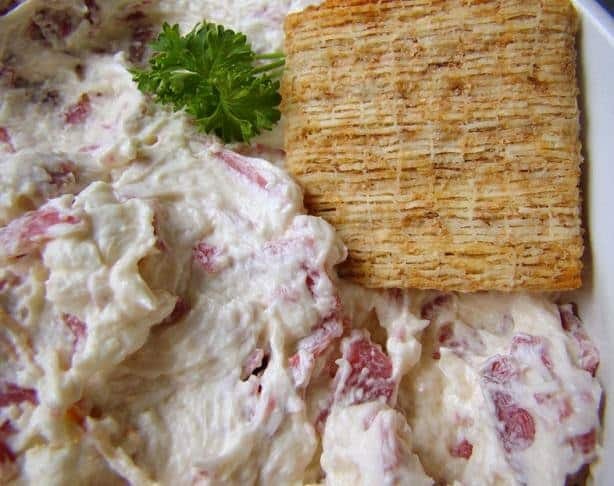 Harry and David Relish Dip another super delicious dip recipe that is fast and easy.